From Lawrenceburg, take SR48 through Manchester, turn left on White Plains Rd. House on right. Sign On. 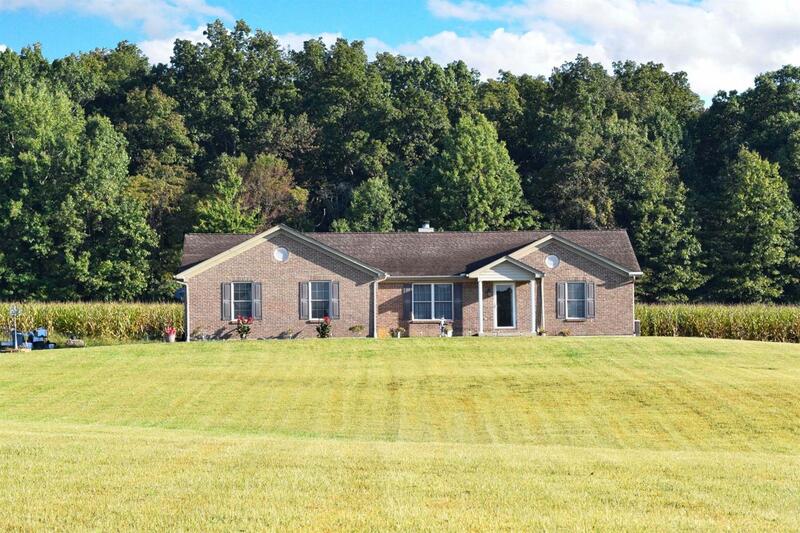 You will love this Spacious Brick Ranch! This home features some Cool Architectural Details, a Huge Master Bedroom with 2 WI Closets that have Built-ins, and a Pretty Sweet Sunroom, all on 9 acres! Get away from all the hustle and bustle of the city and come home to this Beautiful Retreat every night! NOTE: This property was sold on 11/17/2017 and is no longer available. The details listed below are believed accurate to the date of the sale and are subject to change.